Nintendo has launched its Happy New Year eShop sale for Switch, 3DS, and Wii U, featuring a decent range of discounted first-party titles on all formats. 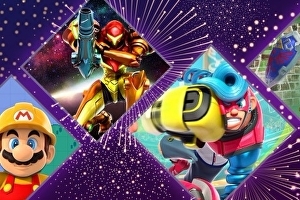 It’s fairly uncommon to see Nintendo reducing the price of its first-party titles, and as you might expect, the newly unveiled discounts don’t offer the most substantial of savings. However, if you’re in the market for digital editions of Nintendo’s games (you’ll almost certainly be able to find many of these cheaper elsewhere in physical form), there might be something to tickle your fancy. Over on Switch, your first-party options are limited to 1-2 Switch (down from £39.99 to £27.99) or the mighty Arms, discounted from £49.99 to £39.99. These slender pickings are bolstered by a number of notable third-party titles on the console. LA Noire is £33.74 from £44.99, superb exploratory mining adventure SteamWorld Dig 2 is £10.99 from £14.99, and wonderful Ironcast – a turn-based mechs-meets-match-3 RPG set in WW2 – is £9.09 down from £12.99. There’s a complete list of Switch discounts over on Nintendo’s sales page.